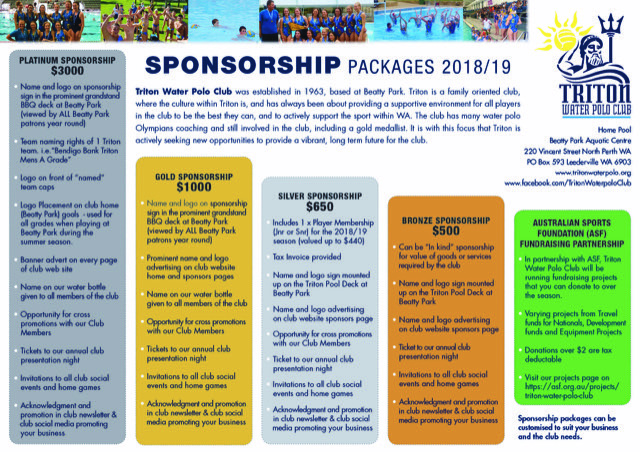 Sponsorship opportunities for Triton Water Polo Club are available now. Access to over 400 club members and their families. Regular communication channels throughout the year to the club database. Contributing to positive community development through involvement in a sport that engages players from beginners to global elite level.